Avionics and telecommunications giant Panasonic is presenting a number of new technologies at Aircraft Interiors Expo, ranging from adaptive soundscapes and premium headphones, to improved in-flight maps, analytics and gaming services. Panasonic Avionics Corporation is launching two new products to improve passengers’ wellbeing aboard an aircraft. The ‘Calm’ app is enhanced with for programs for sleep, meditation and relaxation, tailored for both children and adults. MyNoise, meanwhile is a collection of soundscapes that aid relaxation, sleep, focus and enjoyment. Based on the elapsed time in flight and an individual jet lag schedule, the technology will recommend different soundscapes. These two new technologies are part of the company’s range of Wellness solutions to help passengers address and reduce jet lag, anxiety, stress, fatigue, noise, lighting, odors, and dehydration. Also included in this range is Active Noise Control, which reduces background noise without the need for headphones, and ‘nanoe, which deodorizes and neutralizes the air in the cabin and around a passenger’s seating area by applying low voltage to moisture which bursts into nano-sized electrostatic atomized particles. 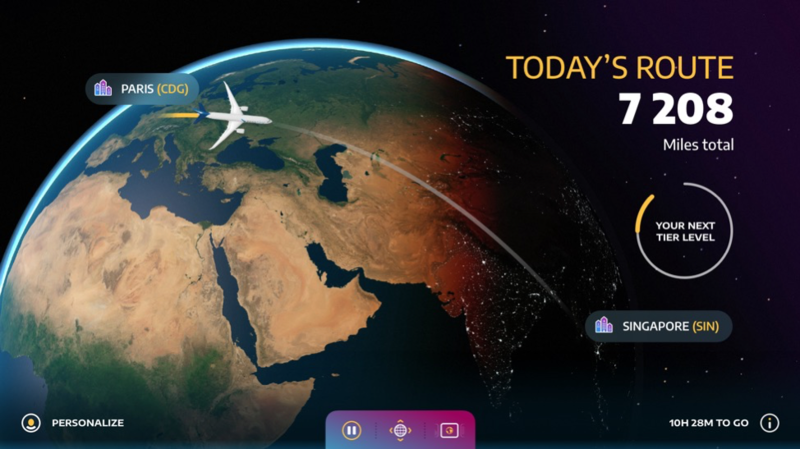 To keep passengers informed, as well as comfortable, Panasonic has also unveiled its new Arc in-flight map platform, a 3D in-flight map application and service for its NEXT and X Series in-flight entertainment and connectivity (IFEC) systems. The system is compatible with all Panasonic’s displays, including seatback, overhead, handset, and within mobile apps and web portals. The new service moves the game on from traditional in-flight map applications and integrates with the whole IFEC systems, in particular the company’s own systems, such as Loyalty (Panasonic’s personalization services), Marketplace (for onboard e-commerce), Insights (for analytics). All these are backed by Panasonic’s NEXT Cloud infrastructure. Gaston Sandoval, vice president of product management and marketing, says: “Moving maps have long been one of the most popular features of any in-flight entertainment system but we believe the opportunities to expand the basic map concept, and revolutionize its role in the overall in-flight experience, are greatly underleveraged. The new product uses a new Map as a Service (MaaS) concept. This includes APIs that enable airlines and third parties to develop applications utilizing the Arc map engine and feature set, or to add their own content and data layers to the Arc map displays. There is a wide range of map styles – from stunning satellite-based images to street views, to new and unique data visualizations, as well as point-of-interest content, obtained through the company’s relationship with discovery platform provider Raleigh & Drake and other companies that are still to be announced. The platform offers new monetization opportunities for airlines through integration with Panasonic’s own Marketplace e-commerce platform. In-flight sales can be directly tied to real-time flight events and status. It also integrates with with airline advertising and promotions, including Panasonic’s OneMedia advertising platform, to enable targeted advertising. It also integrates with airline advertising and promotions, including Panasonic’s own OneMedia advertising platform. The high viewership of maps can thus be leveraged for its targeted advertising and promotional potential. 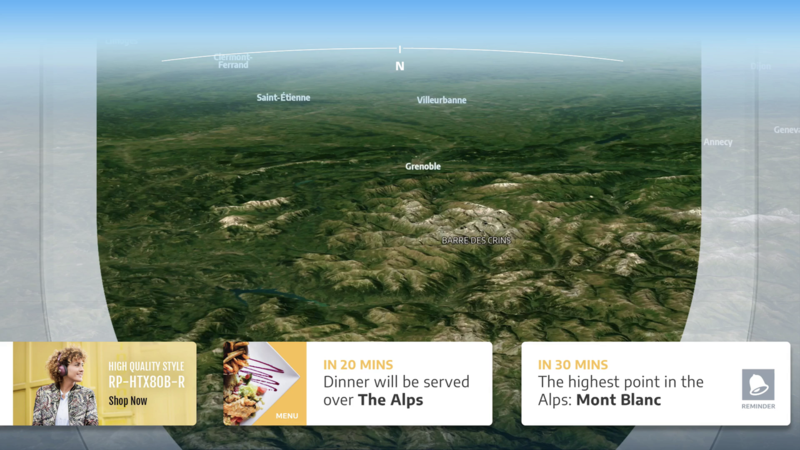 The Arc Studio is an online tool and gallery service where airlines can design their own map experience, and be regularly provided with exciting new features and updated map data. Updates will range from regular maintenance data (time zone offsets, place names, borders, etc) to new features and design templates, which can all be dispatched to airline fleets using the NEXT Cloud. Finally, Arc Analytics provides the ability to track map usage, allowing for analysis and optimization of data based on actual passenger interaction. These analytics can be used to enhance each airline’s map database set, and to enable and verify advertising and promotional impressions. Tying a number of other new products together is Insights, which has also been unveiled at the Expo. The cloud-based analytics platform is the latest addition to Panasonic’s NEXT platform. The technology harvests onboard and third-party data from a wide range of touchpoints, including in-flight entertainment, connectivity, social media, location and weather monitors. It analyses this data in real-time to provide airlines with actionable insights. Insights will be accessible for airline personnel via a secure dashboard available on mobile devices including mobile phones, laptops and tablets. 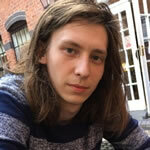 It has two main components, a Software as a Service (SaaS) application and Consulting. The SaaS application offers descriptive, predictive and prescriptive insights by looking at usage and media trends, as well as offer suggestions using sophisticated modeling. 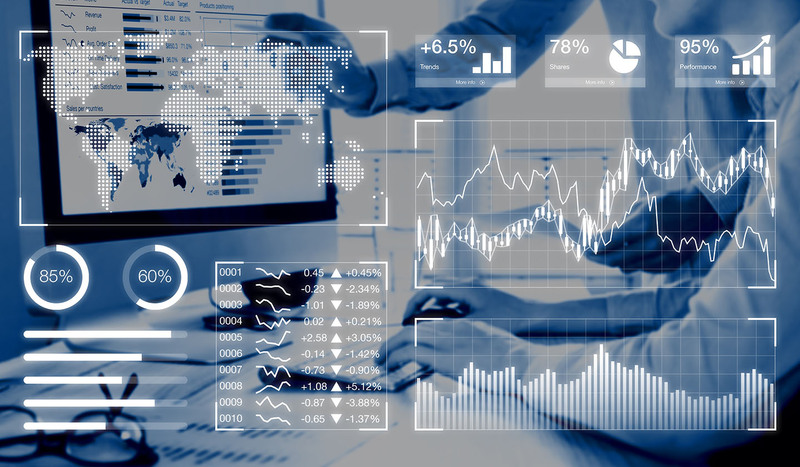 Consulting has been developed to offer airlines bespoke solutions and release monthly trends reports based on analysis of Panasonic’s global data, which will be available on a subscription basis. David Bartlett, chief technology officer of Panasonic Avionics Corporation, says: “Airlines today have access to more data points than ever before, and Panasonic’s Insights solution takes all the leg-work out of analyzing and leveraging that data. Insights will be available in the second half of 2019. Gaming is big business – on mobile devices, but also on flights. Panasonic is therefore partnering with major gaming brands and forming relationships with developers to deliver exclusive gaming experiences that are aimed at satisfying diverse passenger interest within this enormous worldwide market. The service is being launched with two partners: Toca Boca, the studio behind a number popular games and digital toys for kids and families, and Gameloft, which features a wide catalogue of games across many genres. Other partnerships will be announced later this year. With gaming comes esports, so Panasonic has also announced, with its partner IMG, that esports will be added to their live in-flight entertainment programming. IMG’s Sport 24 and Sport 24 Extra channels are available exclusively from Panasonic, with live coverage of some of the world’s most popular sporting events including the English Premier League, Bundesliga, Rugby World Cup, Tokyo 2020 Summer Olympics, the Masters, the Ryder Cup, Roland Garros, the Australian Open and Wimbledon. Finally, Panasonic has also announced a collaboration with Harman to make JBL branded Serenity S1H headphones available to airlines and their passengers and give them the best possible in-flight audio. The headphones connect to Panasonic’s NEXT Series inflight entertainment system via USB type-A or type-C connectors. 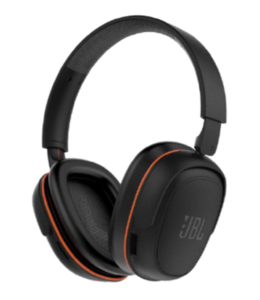 JBL developed the Serenity S1H headphone to deliver authentic, high-definition sound reproduction. They were developed in collaboration with SoundChip SA, a Swiss-based global leader in system-level audio for headphones. This gives the headphones a wide array of powerful sound features, including digital audio, hybrid active noise cancellation, ‘3D sound’, open-ear talk-through, and seat-to-seat and seat-to-ground VoIP telephony.